Although it seems as though e-sports have been around for a long time, they are relatively new compared to traditional sports. This means that betting on e-sports is a fairly new concept as well. In the very beginning, it was difficult to be able to find venues where e-sports betting could take place. But, as this industry is growing, so are the opportunities for gambling, as more platforms for being able to do so are getting approval. This now means that those who wish to become proficient e-sports gamblers have to start out as beginners and take advantage of a few tips. There is always an element of risk with any form of gambling, but these can often be minimised if the bettor educates themselves as to what the potential risks are. However, the risks cannot be totally eliminated. It is important for anyone who is going to be involved in placing bets on e-sports to be prepared to lose, as this usually happens more than winning. Betting opportunities are offered by bookmakers who have taken an interest in this form of sport. Being as it is still relatively new, the bookmakers are in a learning curve. For those who are interested in getting in on the betting action, now is the best time to become involved. As time progresses, the bookies will become more adept at setting the odds and lines, which will make it more difficult for the e-sports bettors. 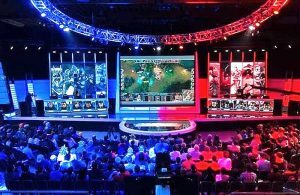 Now that e-sports are becoming so widely recognised, more platforms are offering opportunities for the betting population. It is the responsibility of the e-sports bettors to seek out reputable platforms which have a history of integrity in the gambling industry. Once you have adopted these beginner’s tips for e-sports betting, then you can apply additional tips which take you through the basics of e-sports betting.